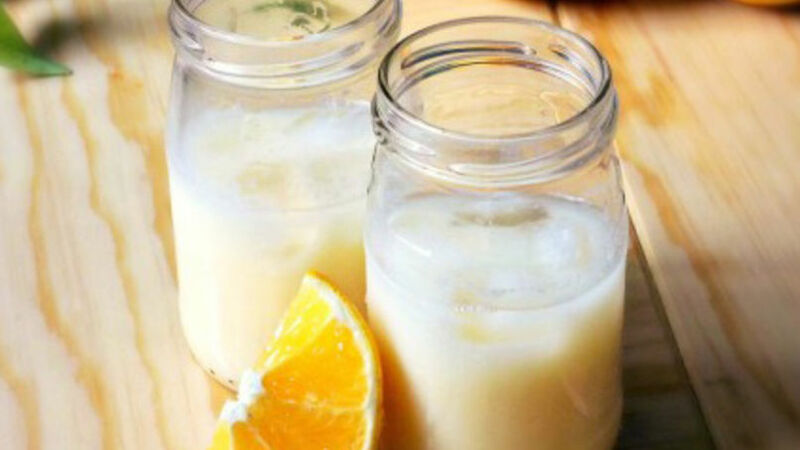 In a 2-liter pitcher, mix the orange juice with the water and the sweetened condensed milk until it is well blended. Serve with ice and enjoy it. For this recipe, you can use freshly squeezed orange juice, previously prepared juice and/or concentrated juice. Naranjada is an agua fresca that I have enjoyed since childhood. I grew up in a town that’s famous for its orange orchards. There were orange trees everywhere, so we always had oranges in my grandparents' house. My grandma would always have a huge jar with freshly squeezed orange juice in the fridge. I think that some days we drank more juice than water. Since my grandma prepared juice every morning, she did not like to mix the juice from the day before with the freshly squeezed one, so she would prepare naranjada with orange juice and sweetened condensed milk. It was the first thing I would look for when I got home from school. That ponchecito de naranja (orange punch), as my grandma used to call it, brings me such sweet memories that I still prepare it for my children. And I am sure your family will love it too.